Philippe Bornet has been studying and researching in the history of religions, South Asian and Jewish studies at the universities of Lausanne, Tübingen and the University of Chicago. Since 2012, he teaches and researches in the Department of South Asian studies at the University of Lausanne. His research interests are in methods and theory in the study of religion, religion and orientalism, South Asian religions, Christian missions in South India and new medias. He published Rites et pratiques de l’hospitalité: mondes juifs et indiens anciens (2010), Religions in Play: Games, Rituals, and Virtual Worlds (ed. with Maya Burger, 2012) and L’orientalisme des marges: perspectives de l’Inde et de la Russie (ed. with Svetlana Gorshenina, 2014). Inspired by the historiographical model of “connected histories”, this volume examines the intellectual and geographical trajectories of 9 individuals who interacted with religious discourses, doctrines or practices in the 19th and 20th centuries. Introducing the notion of “connected histories of religion”, the book focuses on situations of interactions over large geographical distances and contributes to reconnect histories that have been separated by historiographical preferences. The book equally contributes to broader methodological issues of comparative religion by interpreting the trajectories of these transnational actors as building blocks of the global circulation of religious ideas and practices. Interrogating the nature of comparative categories and undermining the idea of discrete institutionalized religions (as in the so-called “world religion model”), it focuses on historical processes that are comparative in nature. 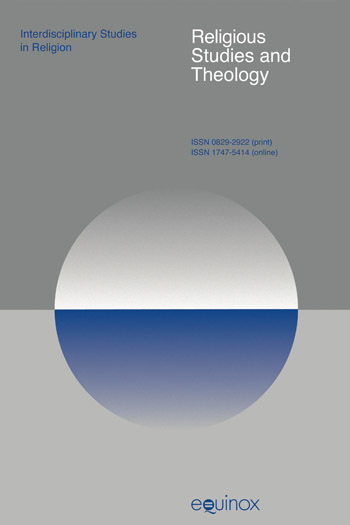 In so doing, it provides material to rethink categories, practices or theories related to “religion” under a more dynamic light: the goal is not only to sketch the history of uniquely Christian or Western categories being consistently (mis-)applied to non-Western contexts, but also to map a complex history of appropriations, rejections, or subversions on a global scale, from the 19th century on. This approach can then make an effective contribution to countering Eurocentric tendencies in the field. Figures who regularly crossed borders, such as missionaries, members of diaspora communities, monks, pilgrims, scholars, tourists or travelling revolutionaries provide fascinating material for such a project. Bringing together select cases of encounters in European and Asian contexts in the 19th and first half of the 20th century, the volume centres on two dimensions: (1) actors interacting with discourses of religion, appropriating, rejecting, subverting ideas or practices for their various needs or interests, and (2) actors producing and propagating religious discourses and practices, using a specific relation to space (travels, temporary or longer stays, targeted visits to specific groups etc.) to achieve their ends. Without being exhaustive, the variety of cases will arouse questions that can be addressed to other contexts. The chapters deal with the following issues: How did the international contacts and travels of these individuals contribute to the global circulation of discourses and practices about “religion”? How were these conceptions or practices endowed with new meanings, instrumentalized or rejected in the different contexts they crossed? What was the role of different actors – including “subaltern” or secondary actors – in this process? Did such encounters contribute to building stereotyped conceptions of “religion” or did they, on the contrary, extend the range of possible ideas on “religion”? Finally, in which measure are the 19th century and early 20th centuries specific for retracing “connected histories of religion”? All contributions are original. A preface and a concluding chapter provide an external and synthetic point of view. The volume will be of significance for people working or interested in the study of religion, in Asian studies and in global history, for both undergraduate and graduate levels. Inspired by the historiographical model of “connected histories”, this volume examines the intellectual and geographical trajectories of 9 individuals who interacted with religious discourses, doctrines or practices in the 19th and 20th centuries. 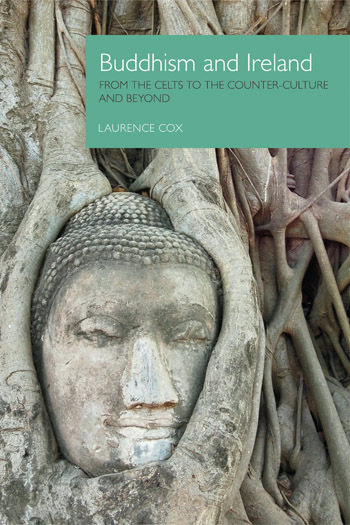 Introducing the notion of “connected histories of religion”, the book focuses on situations of interactions over large geographical distances and contributes to reconnect histories that have been separated by historiographical preferences. The book equally contributes to broader methodological issues of comparative religion by interpreting the trajectories of these transnational actors as building blocks of the global circulation of religious ideas and practices. Interrogating the nature of comparative categories and undermining the idea of discrete institutionalized religions (as in the so-called “world religion model”), it focuses on historical processes that are comparative in nature. In so doing, it provides material to rethink categories, practices or theories related to “religion” under a more dynamic light: the goal is not only to sketch the history of uniquely Christian or Western categories being consistently (mis-)applied to non-Western contexts, but also to map a complex history of appropriations, rejections, or subversions on a global scale, from the 19th century on. This approach can then make an effective contribution to countering Eurocentric tendencies in the field. Figures who regularly crossed borders, such as missionaries, members of diaspora communities, monks, pilgrims, scholars, tourists or travelling revolutionaries provide fascinating material for such a project. Bringing together select cases of encounters in European and Asian contexts in the 19th and first half of the 20th century, the volume centres on two dimensions: (1) actors interacting with discourses of religion, appropriating, rejecting, subverting ideas or practices for their various needs or interests, and (2) actors producing and propagating religious discourses and practices, using a specific relation to space (travels, temporary or longer stays, targeted visits to specific groups etc.) to achieve their ends. Without being exhaustive, the variety of cases will arouse questions that can be addressed to other contexts. The chapters deal with the following issues: How did the international contacts and travels of these individuals contribute to the global circulation of discourses and practices about “religion”? How were these conceptions or practices endowed with new meanings, instrumentalized or rejected in the different contexts they crossed? What was the role of different actors – including “subaltern” or secondary actors – in this process? Did such encounters contribute to building stereotyped conceptions of “religion” or did they, on the contrary, extend the range of possible ideas on “religion”? Finally, in which measure are the 19th century and early 20th centuries specific for retracing “connected histories of religion”? All contributions are original. A preface and a concluding chapter provide an external and synthetic point of view. The volume will be of significance for people working or interested in the study of religion, in Asian studies and in global history, for both undergraduate and graduate levels. Introducing the notion of “connected history” and situating it among other related approaches (“comparative history”, “entangled history”, “cultural transfers”, etc. ), the chapter examines the potentialities as well as the challenges it presents for the comparative study of religions. It argues that following the transnational itineraries of single individuals who interacted with “religion” can play a role similar to comparison in the study of religion, so as to both criticize classical taxonomies and construct alternative ways to think about concepts and practices of religion, with an emphasis on mediatic, political and social dimensions. Gautam Chakrabarti is an Assistant Lecturer in Comparative Literature and “Berlin and German Studies” at the Freie Universität Berlin, where he has been a DRS-HONORS Postdoctoral Fellow (2014/15). In 2016, he represented the DAAD-funded Thematic Network “Principles of Cultural Dynamics”, FUB, as a Global Humani­ties Junior Research and Teaching Fellow at The Hebrew University of Jerusalem. His PhD dissertation, “Introducing European Drama in Early Modern India,” supervised by Prof. J. Küpper, is currently in preparation for press. He has taught English Literature and Culture Studies at various universities in India, and has also researched and taught in Finland, Russia, Poland and the Baltic States. He was Visiting Lecturer at a couple of universities and institutes in St Petersburg, Russia (Winter 2008/09). His primary research interests are in comparative literary-cultural history and world literature. Anthony Firingee (Antōnī Phiringī) originally Hensman Anthony (?-1836), was a folk-poet/bard, who, despite being of Portuguese origin, was married to a Hindu Brahmin widow and famous for his much-feted devotional songs, addressed to the Goddesses Kāli and Durgā, in Bengali towards the beginning of the 19th century. In this chapter, the literary-cultural construction of a religious hybridity, operating between and cross-fertilising Indo-European cultural conjunctions, is examined through the study of individual, ‘in-between’ religious agency and literary-cultural borrowings. Margaret Noble (1867-1911) was born in Ireland but educated in England where she established herself in her chosen career as an educator. Having met Swami Vivekananda (1863-1902) at meetings in London, she followed him to India after he returned there in 1897. In 1898, Margaret Noble dedicated herself to the service of India as his disciple, under her initiated name of Sister Nivedita (“The Dedicated”). The extent of the regard in which she came to be held in India is reflected in the Government of India’s decision to mark the centenary of her birth by issuing a postage stamp in 1968 to commemorate her service to the nation. The complexity of Margaret Noble’s transnational life, with its movement between regions of Ireland and England during her formative years and her later relocation to India, was not framed by national boundaries but characterised by its mobility, including social mobility. Her spiritual life was similarly complex and fluid, defying rigid categorisation. The breadth of her activities in India extended far beyond her association with the movement Vivekananda created, the Ramakrishna Mission, which is why her life has attracted the interest of, not just scholars of religion, but also historians of the Indian independence movement and Hindu nationalism, scholars of postcolonial studies, and historians of Indian art and early expressions of pan-Asianism. Dr Dwayne Ryan Menezes is an Associate Fellow at the Institute of Commonwealth Studies, University of London. He read Imperial and Ecclesiastical History at the LSE and the University of Cambridge, graduating from the latter with a PhD in History. He served as Researcher at the Centre of Governance and Human Rights (CGHR) at the University of Cambridge; Visiting Academic at the Centre on Migration, Policy and Society (COMPAS) at the University of Oxford; and as Postdoctoral Research Fellow at Heythrop College, University of London. Dr Menezes also acted until recently as Consultant to the Secretary-General of the Commonwealth and continues to serve as Founder and Director of Human Security Centre (HSC) and Polar Research and Policy Initiative (PRPI). In the late-nineteenth and early-twentieth centuries, several Catholics from South Kanara in British India, whether as British subjects or Indo-Portuguese Catholics, journeyed across the wider British, Portuguese and Catholic worlds. Wherever they travelled or settled, they often strategically deployed their Catholicism, distinctive Anglo-Luso-Brahmin culture and ambiguities about their racial heritage to overcome structural barriers to the mobility and assimilation of South Asians. Catholicism, with its numerous institutions, lay and clerical transnational networks, and doctrinal emphasis on universalism emerged as a particularly valuable tool that some could deploy for the purpose of assimilation. Catholicism would not only facilitate intermarriages with Catholics of other ethnicities, but also enable racial ‘passing’ and other forms of strategic ethnic re-identification. By focusing on the D’Abreu family from Mangalore, members of which journeyed to the British Isles since 1890, this study shall uncover the forgotten history of an Indian Catholic family that embedded itself within the heart of British society. It shall explore how, by strategically emphasising the Catholic and Portuguese markers of their multifaceted identities, the D’Abreu boys acquired a subsidised education at Stonyhurst; became celebrated surgeons; and married into the highest rungs of the European Catholic gentry and aristocracy. It shall explore both the transnational practices and networks of Catholicism and investigate the extent to which Catholicism could facilitate migration and aid assimilation. Steven Sutcliffe, University of Edinburgh, is Senior Lecturer in the Study of Religion at the University of Edinburgh. He specialises in the study of alternative religion in modernity and in the modern history of the study of religion/s. He is author of Children of the New Age: A History of Spiritual Practices (2003), co-editor (with Ingvild Sælid Gilhus) of New Age Spirituality: Rethinking Religion (2013) and co-editor (with Marion Bowman) of Beyond New Age: Exploring Alternative Spirituality (2000). He also edited Religion: Empirical Studies (2004) and is a co-editor for the Bloomsbury Advances in Religious Studies monograph series. His current research includes the archive of the Scottish conscientious objector and ‘simple life’ practitioner, Dugald Semple (1884-1964), and the social and cultural history of the Gurdjieff-Ouspenskii movement. He is President of the British Association for the Study of Religions between 2015-2018. This chapter presents a case study of a Scottish exponent of the ‘simple life’, Dugald Semple (1884-1964), within early twentieth century networks of life reform or Lebensreform. Semple lived mostly in the rural hinterland of Glasgow, then the ‘second city’ of the British Empire, although he also worked briefly in London and visited Norway, Switzerland and the US. The son of a tailor and clothier, Semple was apprenticed as an engineering draughtsman before deciding to go ‘back to the land’ to live in a tent and caravan on the local heath. Presenting himself as an advocate of the ‘Simple Life’, and working as a freelance journalist, naturalist and photographer, Semple practiced voluntary simplicity, pacifism, vegetarianism and religious nonconformity. This chapter argues that the underlying thread in Semple’s ‘life reform’ is a non-conformist, anti-clerical religious individualism which incorporated Transcendentalism with a Tolstoyan and Gandhian pacifism. He may therefore be understood as a local example of a wider European Lebensreform movement which is well-known from different German examples, but was also found in Switzerland, the Nordic countries and elsewhere. A case study of Semple’s career in dialogue with his English and continental interlocutors demonstrates the value of empirically based transnational enquiry at the level of individuals and networks for understanding the varied inflections of ‘life reform’, particularly the religious roots of the phenomenon. It also contributes to the historiography of important currents in ‘alternative religion’ which fed the post-world-war-two ‘new age’, ‘eco’ and commune movements. Dr. Minyu Zhang is lecturer at the Department of Area Studies, School of Asian and African Studies, Beijing Foreign Studies University. He studied Indian languages and literatures at Peking University. He researches early modern north Indian literature, Indian religions, and China-India cultural contacts. He is a key investigator of “Translation and Study of Sursagar” (Ministry of Education Grant Project, PRC) and “Translation of Chinese-Indian Classic and Contemporary Works” (China-India Governmental Cooperation Project). His recent publications include “Evolution of Indian Sahajayāna”, “The Defeat of Asuras in Surasagar”, “Myth and Identity: reflection on the neo-Buddhist movement in Maharashtra, India”. Since its reopening up in the 1840s, China came again into contact with India, the former “Buddha’s land”, in a relation that was not purely intellectual but also entangled with questions about China’s cultural self-identity and political ideology. The chapter argues that in the formative years of Indian studies in China, scholars developed their perspectives within three important transnational networks: the revived Buddhist ancestral China-India connection, the scholarly network around Western, particularly German orientalists, and the political network based on socialist and anti-imperialist ideology. Brian Bocking is Professor emeritus of the Study of Religions at University College Cork, Ireland and formerly Professor at SOAS, University of London. In recent years he has been researching the emergence of global Buddhism, collaborating with Alicia Turner (Toronto), Laurence Cox (Maynooth) and Yoshinaga Shin’ichi (Kyoto) on the study of two ‘forgotten’ Irish Buddhists; U. Dhammaloka (?1856-?1913) and Charles Pfoundes (1840-1907). Charles J. W. Pfoundes (b. Ireland 1840, d. Japan 1907) arrived in Japan in 1863 aged 23. He learned Japanese and developed a lifelong interest and admiration for Japanese culture. In 1878 he returned to the UK and in 1889 launched, under the aegis of the newly-formed Kaigai Senkyokai (English name ‘Buddhist Propagation Society’) in Kyoto, a Buddhist mission in London. This forgotten but highly active Japanese Buddhist mission to London, then hub of the global British empire, predates by ten years the so-called ‘first’ Buddhist missions to the West which emerged on California in 1899 and by almost two decades the alleged ‘first’ Buddhist mission to London of Ananda Metteyya in 1908. New research into the mission, including its confrontations with Theosophy and links to Spiritualism and progressive reform movements offers new insights into the complex, lively and contested character of global religious connections in the late nineteenth century. Parinitha Shetty, University of Mangalore, Professor and Head of the Department of English, Mangalore University. Areas of Research: Gender Studies, Missionary Studies. She has published a number of articles, among which “Missionary Pedagogy and the Christianisation of the Heathens: The Educational Institutions established by the Basel Mission in Mangalore”, The Indian Economic and Social History Review 45 (4), 2008, p. 509-551 and “Medical Mission and the Interpretation of Pain” in Cultural Ontology of the Self in Pain, eds. Siby K. George and P.G.Jung, New Delhi : Springer, 2016, p. 269-83. Pandita Ramabai’s (1858-1922) life did not allow her to be rooted within any socio/religious space that existed in her world and denied her the certainties that come with a sense of belonging. Existing at the cusp of histories, cultures and religions, not at ease with either the institutionalised religion she was born into or the one into which she converted, her liminal location enabled a subversive critical perspective and led her to attempts at creating an egalitarian and humane world for those she considered the most oppressed in her society. The chapter deals with Sadhu Sundar Singh and focuses on the way he crossed various borders: religious, political, social, geographical. It is argued that since the concept of sādhu is not reducible to any single easy meaning, it can function as a key to unlock an interstitial space of freedom that would otherwise have remained out of reach. In order to map that space, it is necessary to go back to Sundar Singh’s early years in India, to re-contextualize his biographical trajectory in the framework of early 20th Century revivalist (politico-)religious movements and initiatives to delink Christianity from its colonial background. Focusing then on his tour in Switzerland, 1922 – a tour out of which came an impressive number of publications that would have a lasting effect – it is argued that the tour’s organizers were both projecting intentions on Sundar Singh, and overwhelmed with the actual performance and its effects. Furthermore, members of several religious movements that were in the margins of “institutionalized religions” were equally attending the meetings, producing various kinds of encounters: some leading to creative reconfigurations and some to open conflict. In sum, Sundar Singh is an excellent case study for a “connected religion” framework: since he presented himself as an “open signifier”, there are extremely divergent views on his biography, and for the historian, this requires a patient work for bringing together the pieces of the puzzle. Fabienne Jagou (Ph.D Paris, Ecole des Hautes Etudes en Sciences Sociales) is associate professor at the École française d’Extrême-Orient. She teaches at the École Normale Supérieure in Lyon and at the Lyon Political Science Institute. She is the author of Le 9e Panchen Lama (1883-1937): Enjeu des relations sino-tibétaines (EFEO, 2004), published in English under the title The Ninth Panchen Lama (1883-1937): A Life at the Crossroads of Sino-Tibetan Relations (Silkworm/EFEO, 2011) and the editor of “Conception et circulation des textes tibétains”, Cahiers d’Extrême-Asie (15, 2005). Her forthcoming edited book is entitled: Transnational, Hybrid, and Reimagined Tibetan Buddhism in Taiwan and China. According to his website, Chen Jianmin followed thirty-seven masters before establishing his own school, called “Adi Buddha Mandala”. Chen Jianmin’s Buddhist life impressed a large range of people, from his co-disciples in the 1930s and 1940s to his today’s Taiwanese and American disciples. He first lived among Tibetans in Khams province before spending 25 years in Darjeeling meditating and producing hundreds of Buddhist booklets. He created new Buddhist symbols mixing Tibetan and Chinese traditions, and finally died in the United States. His remains are kept in Taiwan. The aim of this chapter is to follow the life of Chen Jianmin and to analyse the way his created Buddhist legacy is practiced and understood among his followers, Taiwanese people mainly, who founded yet another Buddhist identity revealing a mechanism of religion that is “always on the move”. Maya Burger, University of Lausanne, studied Anthropology, Indology and History of religions in Switzerland, India and United States. She is presently professor for Indian Studies at the Department of languages and civilizations of South Asia. Her field of specialization is pre-modern Hindi literature, history of yoga, history of the relations between Europe and India, as well as Indian religions. Recent publications include Religions in Play. Games, Rituals, and Virtual Worlds, Philippe Bornet, Maya Burger (ed. ), Zürich : Pano Verlag, 2012. India in Translation through Hindi Literature. A Plurality of Voices, Maya Burger, Pozza Nicola (éd. ), Worlds of South and Inner Asia, Berne : Peter Lang, 2010.